2000 hectares of greenery in the heart of Berlin: Tiergarten is a divine location to escape the city hustle. Hours and hours can be spend here, without even knowing in which city you are. The sparkly sculpture Goldelse on top of Siegessäule, is the only clue reminding you that you are still in the middle of Berlin. Sculptures, impressive bridges and other sights can be found throughout the neatly arranged park. If you want to do more than just relax, stroll around or do sports, you should check out Café am Neuen See where you can rent a rowing boat and explore Tiergarten from the lake. 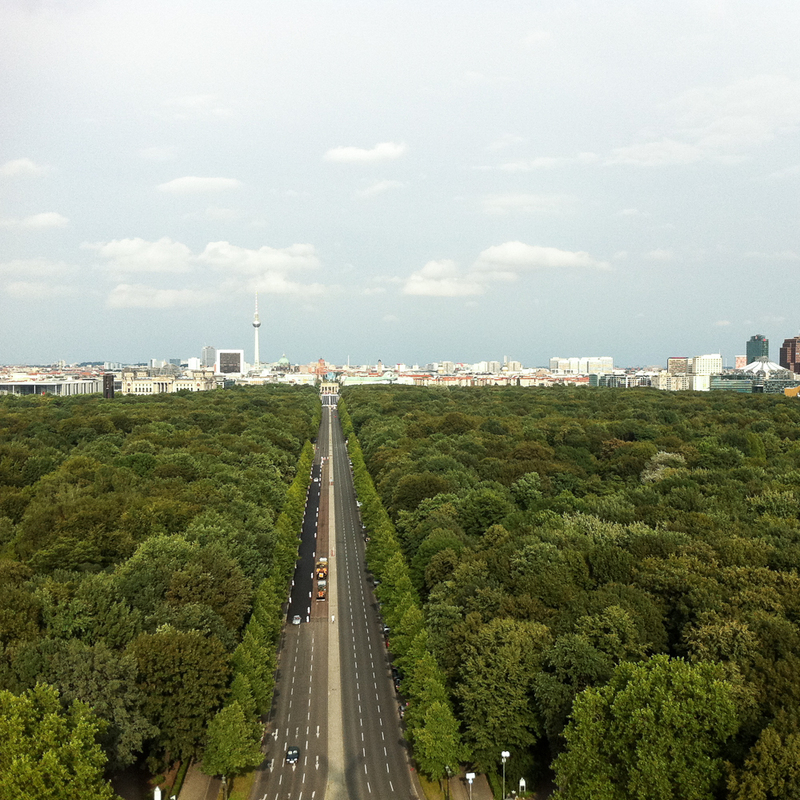 There are many sights surrounding Tiergarten that can either be explored by foot or from the top of Siegessäule. After climbing about 300 steps you will be rewarded with a unforgettable view on the city.